There is no news that these days many watch companies are directly related to the world of sports. These brands develop and produce different models dedicated to a particular sporting event. One such company is the Tag Heuer, which has released several novelties in honor of the individual elements of the world of sports: Camaro, Carrera, Silverstone, Monza, Formula 1 and, of course, Monaco. Masters of this brand have been developed not only for the series of Mercedes, but for McLaren, one of the most successful F1 team of all time. Tag Heuer models are presented by the best racers of F1: Alain Prost, Jenson Button, Lewis Hamilton and Ayrton Senna. In honor of the Monaco GP in 2012 the company has introduced four new models: two limited series created in honor of the Monaco Grand Prix, and the reissue of two special episodes that were previously available only in the boutiques of Tag Heuer. The model Monaco Calibre 12 ACM Limited Edition (CAW211K) was released as a result of the Tag Heuer cooperation with Monaco Automobile Club. The company Tag Heuer is the official timekeeper of the event. In honor of this event is released the Monaco watch with a black dial and logo ACM. A case diameter is 39 mm. Limited edition is- 1200 items. Another new item is a Carrera Calibre 16 Day Date Monaco Grand Prix LE (CV2A1F) from the Carrera collection. The model is presented in two versions: with a sporty rubber strap and a steel bracelet in stainless steel. The case of the model with a diameter of 43 mm is made of stainless steel. The novelty has an original dial with a bright red second’s hand. The model is released in a limited edition - 3000 items. Another model presented by Tag Heuer, is made in a light-blue color. It is issued in honor of Steve McQueen, who wore the timepiece in the movie Le Mans in 1971, after which the line Monaco gained wide popularity. Monaco Heuer Steve McQueen Calibre 11 watch resembles the vintage model with bright white sport stripes on the dial and on the crown on the left side of the case. The model is complemented with a blue leather strap. The latest model - Monaco Twenty Four McQueen (CAL5111), provided in a case of diameter 40.5 mm. Design of the dial, which is protected by a curved glass, gives to the watch an original appearance. The model is built on the basis of Calibre 36. To buy Tag Heuer watches will be available in the boutiques of the brand. 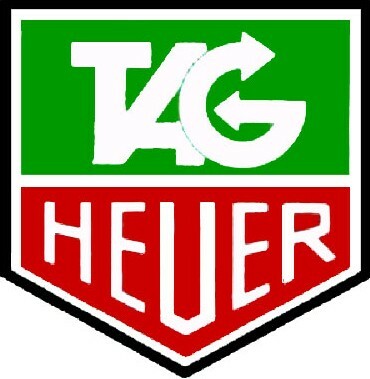 Official website of TAG Heuer watches.